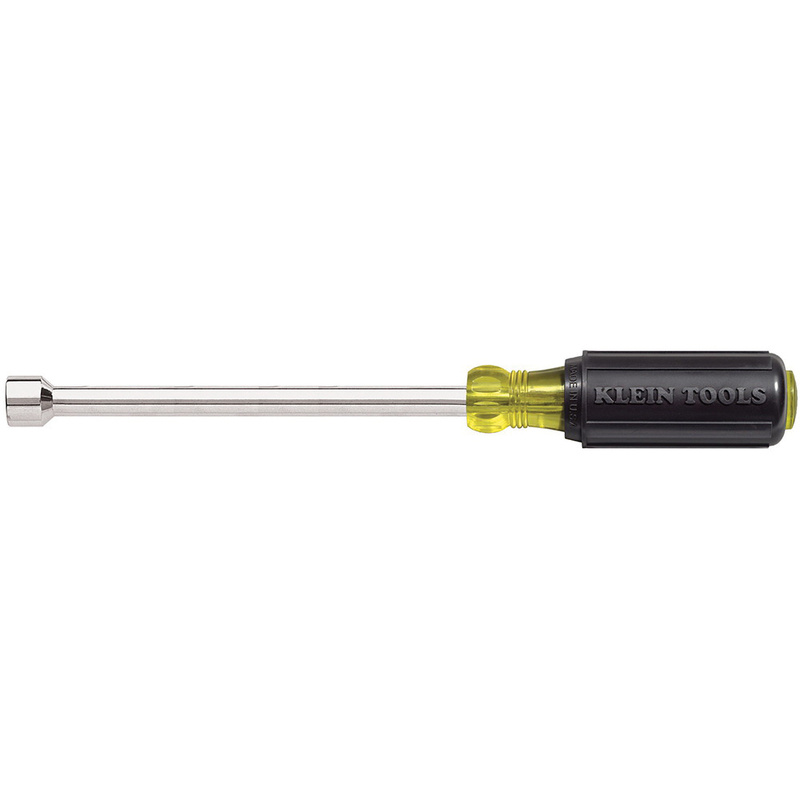 Klein Tools Tip-Ident® 646 Series Nut driver of length 9-3/4-inches, features 6-Inch long hollow round type steel shank and 1/4-Inch hex drive. Red color-coded nut drive features yellow with black cushion-grip rubber handle, which delivers better torque and comfort while use. Internal flanges of this nut driver ensure solid, twist-resistant shaft anchor. It has smooth premium chrome plating on shaft for corrosion resistance. It supports extra-long bolts and studs. 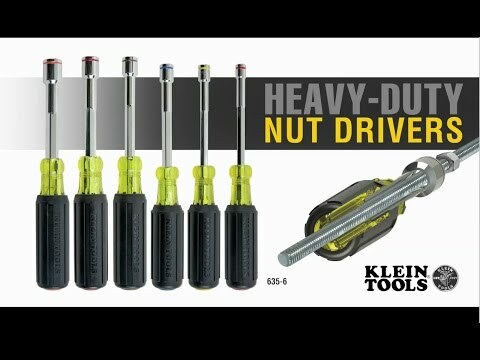 Nut driver meets ASME/ANSI standard.